"New Friends" - Legend of Korra. A poster from the 2012 San Diego Comic Con.. HD Wallpaper and background images in the Avatar: The Legend of Korra club tagged: the legend of korra new friends the krew korra asami bolin mako tenzin. 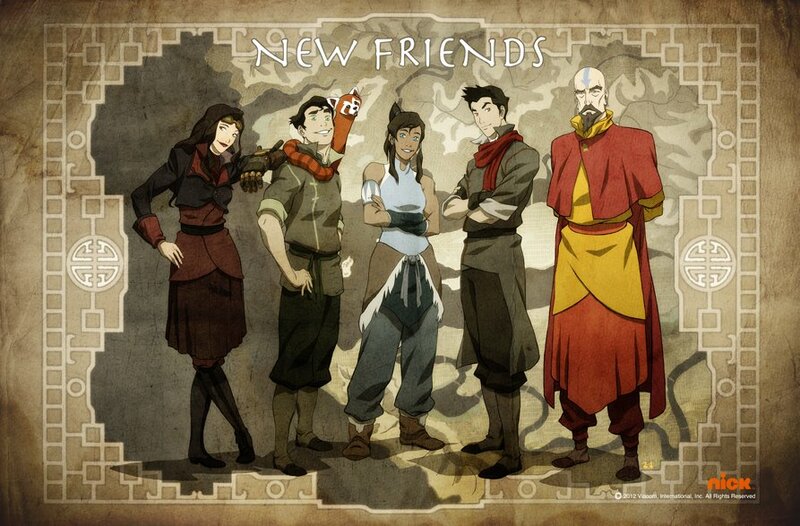 This Avatar: The Legend of Korra photo might contain stained glass window, sign, poster, text, and chalkboard.